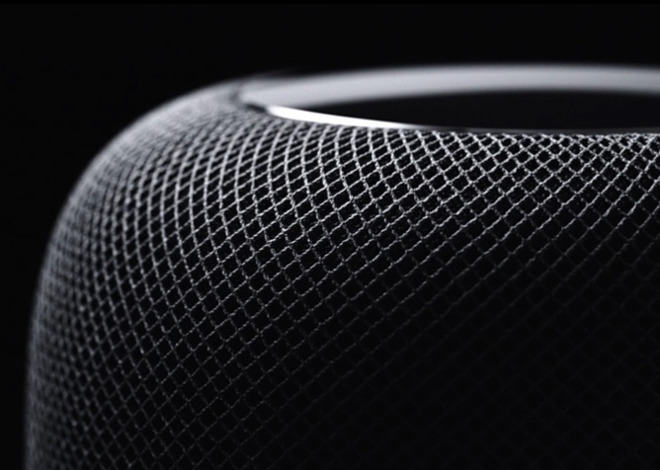 Adding to evidence that the HomePod is nearing an official release, the U.S. Federal Communications Commission has given its stamp of approval for the device. The product is identified as model "A1639," and will bear its FCC markings out of sight on the bottom, according to newly-published documents. As a smartspeaker, the HomePod needs to clear the FCC because of its wireless capabilities. Several documents —namely guides and photo collections —are only set to become public on July 17, likely months after the HomePod will be on shelves. A number of other documents, including schematics, will remain confidential indefinitely. On Wednesday, the Taipei Times claimed that Apple assembly partner Inventec is beginning to roll out the first million HomePods for shipment. Inventec and a fellow assembler, Foxconn, are expected to deliver between 10 to 12 million units by the end of the year. The speaker was originally due to launch in December, but the month prior, Apple postponed the product until "early 2018". At the time, the company said the HomePod needed "a little more time before it's ready for our customers." Missing December allowed products by Amazon and Google to gain a critical foothold in the smartspeaker market. Apple is prioritizing audio quality over voice functions though, which could help justify the HomePod's $349 pricetag.